Hazel Riggs Cameron passed away on September 13, 2017, in Mesa, Arizona, at the home of her daughter, Kaye Owens, surrounded by loving family. Hazel was born July 25, 1919, in Panguitch, Utah, to Jackson Angus Riggs and Mildred Jones Dalley. She was one of eight children. She was the wife of Clarence Cameron who preceded her in death. Hazel graduated from Panguitch High School and Excelcis Beauty School. Clarence and Hazel owned and operated three motels and were the original owner/operators of the New Western Motel in Panguitch. They also owned a gift shop, The Big Chief Trading Post, at the mouth of Zion Canyon. She spent the last ten years living with her daughter, Kaye Owens, who was her devoted and loving caregiver. Her greatest joys were her children, grandchildren, great-grandchildren and great-great-grandchildren. Hazel was an active and faithful member of The Church of Jesus Christ of Latter-day Saints serving in various callings throughout her life. She was a dedicated wife, mother, grandmother and friend. Her life centered around her family. She endured to the end with grace and dignity. She was preceded in death by her husband of sixty-four years, Clarence Cameron, son-in-law David LaGene Owens, two grandsons Brad Bunker and Shaun Owens, and a great granddaughter Daysha Burns. She is survived by her three daughters Kaye Owens, Nancy Walsh, and Arlene Bunker (Randy); 13 grandchildren; 44 great-grandchildren and two great-great-grandchildren. Services will be held on Saturday, September 23, at 11:00 a.m. at the Panguitch 2nd Ward Chapel located at 190 North 400 East with a public viewing preceding from 9:30-10:30 a.m. Burial will be in the Panguitch City Cemetery immediately following. My love to all the family at this time with the passing of your mother, what joy you must feel of her great example and life lived. Love to you all. Our deepest sympathy to such a great family. She was such a sweet lady and an influence on many growing up in Panguitch, I remember her well as my friends Mom.. May God be with you during such a difficult time. To Kaye, Nancy and Arlene. My prayers are with you at this sad time. Your mom was a very special lady. She was so proud of all of her beautiful daughters. All three of you have touched my life for good. I have some fun memories of this wonderful lady. She was always so kind to me . My prayers are with you and your families. were so grateful for Arlene and Kaye there too while Ralph was at ASU. Nancy has been my forever friend from childhood. Your mom, ladies, represented all that is virtuous, lovely and of good report. She had a Twinkle in her eye and a sweet smile and a laugh that I will always remember. I can hear her now, laughing with those who have waited for her to come onward. My condolences and love to the whole family but especially to you 3 sweet daughters of Hazel. You have been blessed and kissed by an angel. Love, Courage and blessings of good memories and peace are sent your way. Love Patti Henrie Green and Ralph Green. This sweet lady will be missed by all who had the opportunity to know her. Our heartfelt condolences go out to your wonderful family. Your Mom was loved by all who knew her. 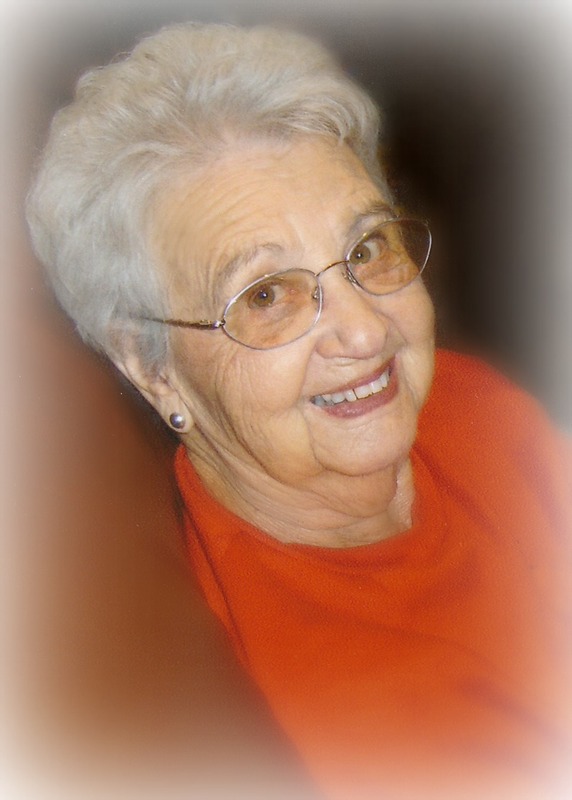 She was one of the great ladies of Panguitch for sure. May all those wonderful memories give you peace and comfort as you remember this great lady. Thinking of you and remembering with fondness your Mom. So sorry for your loss. It is so hard to lose your mom. It just seems like you’re so alone. Your mom was a vibrant and energetic lady and such a big part of the Panguitch community and family. She lived a long and wonderful life…one from which you can cherish the great memories. Our best to you Kaye, Nancy and Arlene.